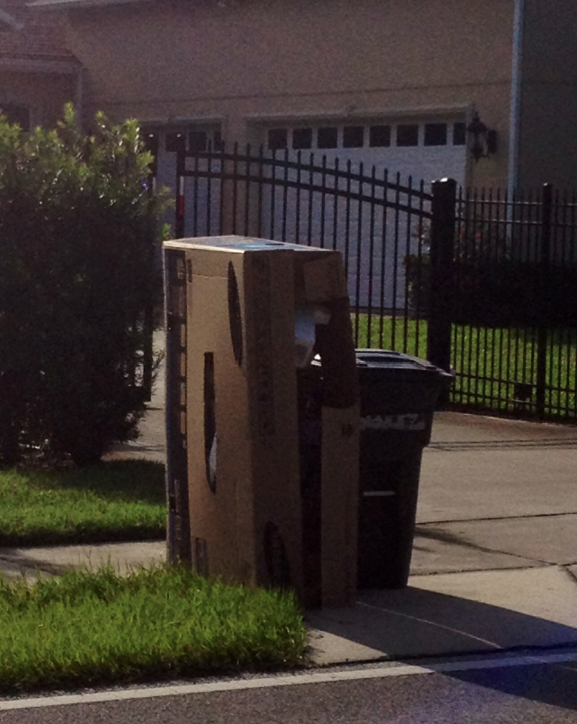 Shane Shirley : Wordless Wednesday 8-22-12: Why Do We Still See This on Trash Day? Wordless Wednesday 8-22-12: Why Do We Still See This on Trash Day? Is this trash? To me, it looks like a major fail on the recycling front. Last week our family had 5 recycling bins and one half full trash can. Although it has taken a few years for us to get to this point, I am hoping that in the near future, this family will also find their way to recycling cardboard and more, instead of tossing it into the landfill.